Recently, one European cruise line executive was quoted as saying that, compared to European cruising, North American-based cruise lines are becoming “all about brands.” Last week, indeed, Royal Caribbean International surveyed a cross-section of its recent past passengers on the subject of the brands with which it is associated. 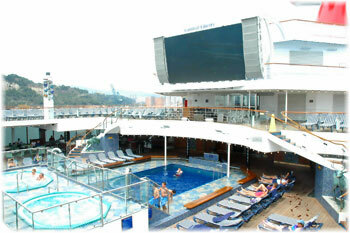 We also take a further look at a specific brand that supplies spas on board cruise ships. Included in this survey were brands such as Coca Cola, Johnny Rockets, Dreamworks, Seattle’s Best Coffee, Bliss, Elemis, Chicagoand Hairspray, just to name a few. Meanwhile, Disney Cruise Line has is its own in-house brand. The only major line that now uses its own on-board branding seems to be Carnival Cruise Lines – and this in itself is significant. As Royal Caribbean and NCL add more and more brands and diversions to their ships, Carnival is positively beginning to look a bit more like a more traditional cruise line. It is even promising to offer more space per passenger in its new ships than RCI and NCL, who are retreating back to less space in their own new ships (see last week’s Cruise Examiner, “Back to the 30’s”). On board cruise ships, there is one particular brand that is worth looking into a little bit, and that brand is Steiners Leisure, as it is know today. Founded in London in 1901 by Henry Steiner, the single salon prospered when his son joined the business in 1926 and was granted a Royal Warrant by Queen Mary in 1937. Many more royal clients followed and in 1956 Steiner won its first cruise ship contract to operate the salon on board Royal Mail Lines’ Andes as well as ships of the Cunard Line. 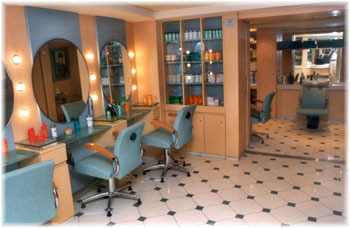 In addition to massages, facials, manicures, pedicures and sensual body treatments, Steiner offers beauty salon services and products for hair and skin. Other brands, such as the spa product and skin care brand Elemis (an odd name as one tends to wonder whether this might be a cure for or a laxative) and Bliss, are owned by Steiners. 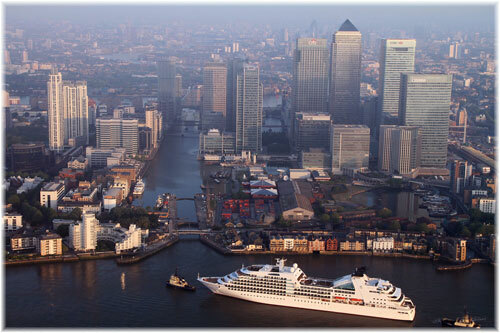 Elemis partners with such firms as British Airways, Four Seasons, Hilton, Intercontinental and Raffles as well as more than a dozen cruise lines including Celebrity, Crystal, Disney, Holland America, Princess, Royal Caribbean, Seabourn, Silversea and Windstar, among others. 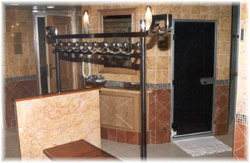 Today, Steiner also owns the spas operated by Mandara Spa. In about 2000, Mandara Spa, a Hawaii-based company that had started in Bali and operated in resort hotels, had managed to win the spa operations on board Norwegian Cruise Line and Silversea away from Steiner. That did not last very long, however, as in 2001 Steiner retaliated by taking a 60% interest in Mandara Spa. More recently, Bristol-based ship chandlers and shipboard retail operators Harding Brothers also got into the shipboard spa business, forming the Onboard Spa Company, and developing new business on P&O Cruises, Cunard (apart from Queen Mary 2), Windstar, Fred Olsen, Thomson, Saga, Voyages of Discovery and Swan Hellenic. But six months ago Steiner purchased the shares of the Onboard Spa Company, after which Fred Olsen decided to run its own spas. There seems to be no getting away from Steiners spas! Beyond Steiner, Canyon Ranch has emerged as the only other operator of shipboard spas, having succeeded in gaining a presence on Cunard’s Queen Mary 2, as well as the seven ships of Oceania and Regent in the Prestige Cruises group. 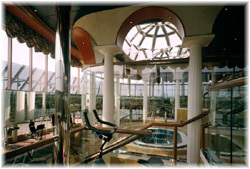 Typically, on board spas are marketed as pampering and service in luxurious surroundings, with a range of tempting sensory pleasures, But today, partly because of their high prices and partly because of their hard sell, they are probably the single largest source of complaints from cruise passengers, along with on board art auctions where they still exist. It is to this area that on board spas will need to pay more attention. Spas are big business, and with cruise ship spas now reaching up to 40,000 sq ft over two decks (Carnival Splendor, Carnival Dream and Carnival Breeze) and have been expanding their product range into wellness. More recently, they have even expanded into acupuncture, Botox treatments and teeth whitening, and account for an ever increasing proportion of on board spend. These days, to make them more attractive, they are often tied to their own restaurants (Aqua class on Celebrity) and with their own private deck areas (forward decks on Azamara and Oceania) that are exclusive to spa customers, or available to others only on the purchase of a daily pass. Although Canyon Ranch once talked about building its own ship, the only thing we have not yet seen yet is an actual spa cruise ship. Anathema to spas is smoking. Last week came news that further smoking restrictions will be imposed by three Carnival lines, by Carnival Cruise Lines, on December 1, and by Holland America Line and Princess Cruises on January 15, 2012. Smoking will no longer be allowed in the cabin on any of these lines and will be generally limited to certain areas of the open deck, designated sections of the casino and casino bar and dance clubs. For some reason, however, Carnival and Holland America passengers will still be able to smoke on their balconies while those on Princess will not. But that could have something to do with a fire that struck the balconies on Star Princess five years ago, a fire that was thought to have been started by a lit cigarette.